AKIPRESS.COM - Russia’s meteorological service has confirmed “extremely high” concentrations of the radioactive isotope ruthenium-106 were found in several parts of the country in late September, confirming European reports about the contamination this month, The Guardianreports. “Probes of radioactive aerosols from monitoring stations Argayash and Novogorny were found to contain radioisotope Ru-106” between September 25 and October 1,” the Rosgidromet service said. The highest concentration was registered in Argayash, a village in the Chelyabinsk region in the southern Urals, which had “extremely high pollution” of Ru-106, exceeding natural background pollution by 986 times, the service said. Greenpeace Russia on Monday called on Rosatom to open “an in-depth inquiry and publish the results about the incidents at Mayak”. “Greenpeace will send a letter asking prosecutors to open an inquiry into potential concealment of a nuclear incident,” it said in a statement. 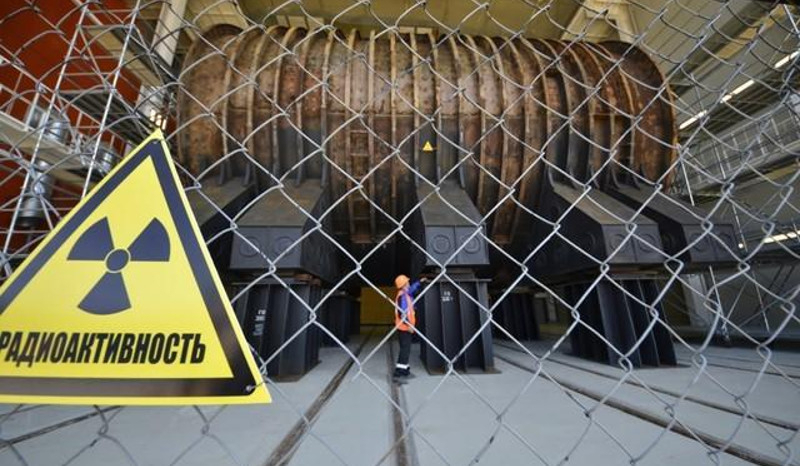 In mid-October, Rosatom had issued a statement cited by Russian media outlets saying “in samples tested from September 25 to October 7, including in the southern Urals, no trace of ruthenium-106 was found, except in Saint Petersburg”. Rosgidromet said on Monday the isotope was detected in Tatarstan and southern Russia, eventually reaching “all European countries starting in Italy and toward the north of Europe” from 29 September. It did not point to any specific source of the pollution, but the Argayash station is about 30km (19 miles) from the Mayak nuclear facility, which in 1957 was the site of one of the worst nuclear disasters in history. Today Mayak is a reprocessing site for spent nuclear fuel. On 9 November, France’s Institute for Radioprotection and Nuclear Safety (IRSN) issued a report saying ruthenium-106 had been detected in France between 27 September and 13 October.